New Fantasyland is the biggest expansion at a Disney park since…well, since the three new areas in Hong Kong Disneyland opened over the past two years or Cars Land opened in Disney California Adventure last year. Needless to say, the Disney theme parks have been furiously adding new things to make your eyes dazzle and your excitement soar. New Fantasyland is no disappointment. Beautifully done, it offers guests an experience that cannot be found at any other park in the world (both “the world” and WDW). The Disney Imagineers have done an amazing job creating a well-themed land with added features that will entice, surprise, and attract kids of all ages! If rides are what make it worth your while to visit a theme park, though, you’ll probably want to wait until next year when the Seven Dwarves Mine Train Ride is set to open. The mine train ride will offer a new ride system much like Indiana Jones and the Temple of the Forbidden Eye at Disneyland did for dark rides. A free-swinging roller coaster, the previews for the mine train seem to integrate a number of different elements into one incredible attraction. But it doesn’t open until 2014. Still, it doesn’t mean there aren’t new things to experience in New Fantasyland. On the contrary, Under the Sea – Journey of the Little Mermaid is an excellent dark ride with wonderful integration of song and movement. Exactly the same as the one at Disney California Adventure, what sets it apart is the interactive queue area which isn’t present at its West Coast counterpart. There are lots of little elements that make walking the line fun to do. Plus with the addition of the Beast’s castle as well as Ariel’s it almost feels like you’re at the nexus of a fairytale adventure – Cinderella’s castle dominates the landscape but now two other princesses have their homes here as well. 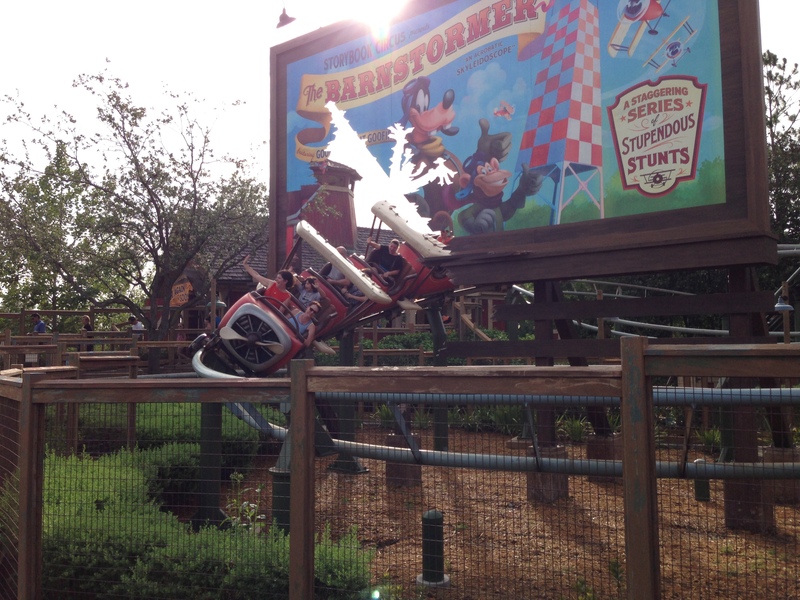 They’ve also added Goofy’s Barnstormer in the Storybook Circus area – a “junior” rollercoaster that is just as much fun for adults as it is for kids. There are no loops or corkscrews for young ones that might be frightened of such things, but there are plenty of dips, twists, and turns. And of course there is Dumbo himself. 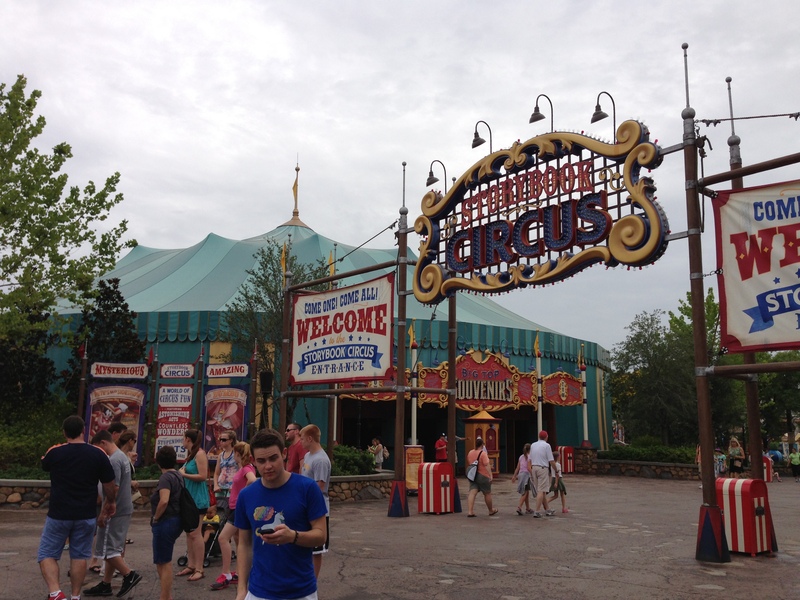 Now with twice the capacity (as they’ve literally added a second Dumbo ride), it flows much better. But your kids may not even want to go on it as the Imagineers have developed another innovative queue feature – the waiting room play area. Now, as you wait in line, you can enter the play area with your kids and they can have fun until their turn comes up. This promises to be a truly innovative way to pass the time. Our daughter, Emma, didn’t want to leave and actually would have preferred to stay in the play area than ride the ride it was so much fun! What other fun things are there to do in this New Fantasyland? If you’re looking for culinary cuisine, you can find that here as well (and will be reviewed in a future blog post). From Gaston’s Tavern to the Be Our Guest restaurant, there are different morsels and features to entertain your taste buds. 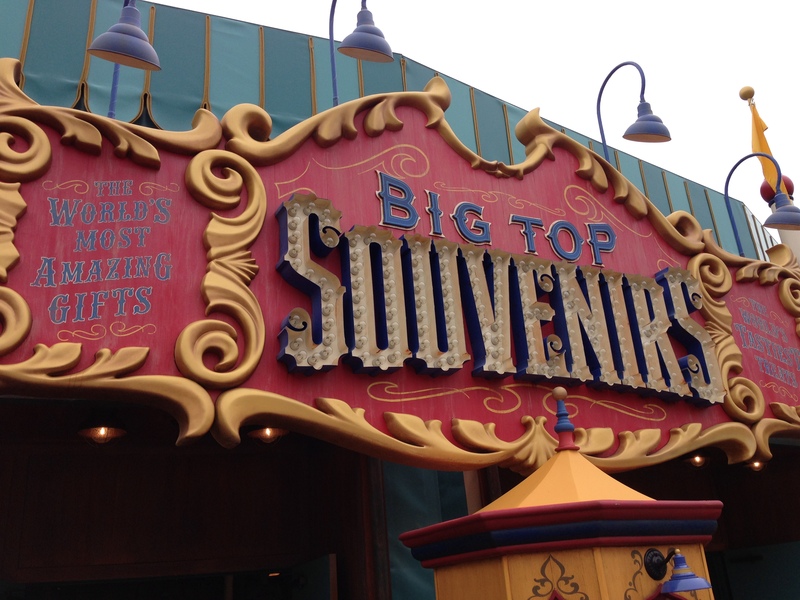 Sweet treats can be found inside Big Top Souvenirs as well as…you guess it… souvenirs. One fun aspect of Big Top Souvenirs is watching them make many of the yummy goodies that go into the case. Stand by and talk to the cast members as they decorate all sorts of various sugary bites. 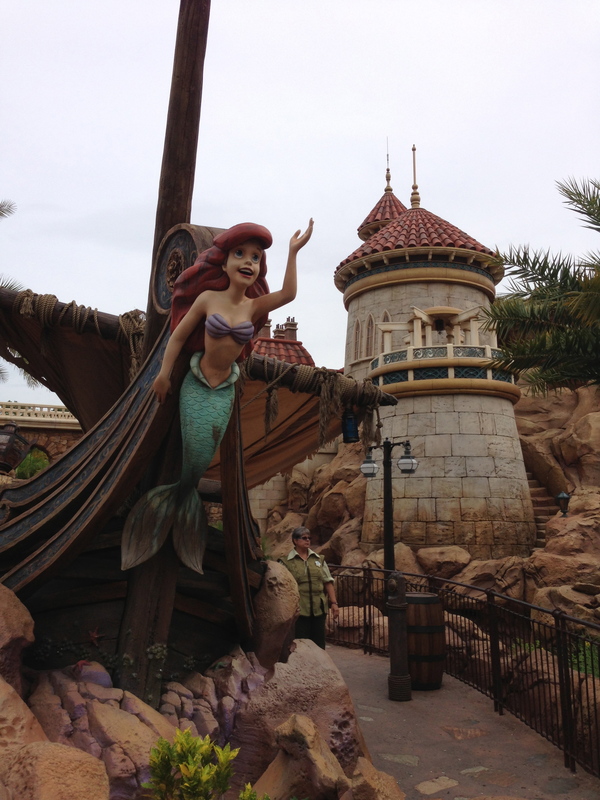 If you want to meet more characters, then head over to Pete’s Silly Sideshow or visit with Belle at her house (Enchanted Tales with Belle) or take a picture with Ariel at Ariel’s Grotto. Too hot? Cool down by getting soaked at Casey Jr. Splash and Soak Station. There truly are new things to do and see in the New Fantasyland. Get lost in the magic! I can’t wait for the Seven Dwarves Mine Train Ride to open! 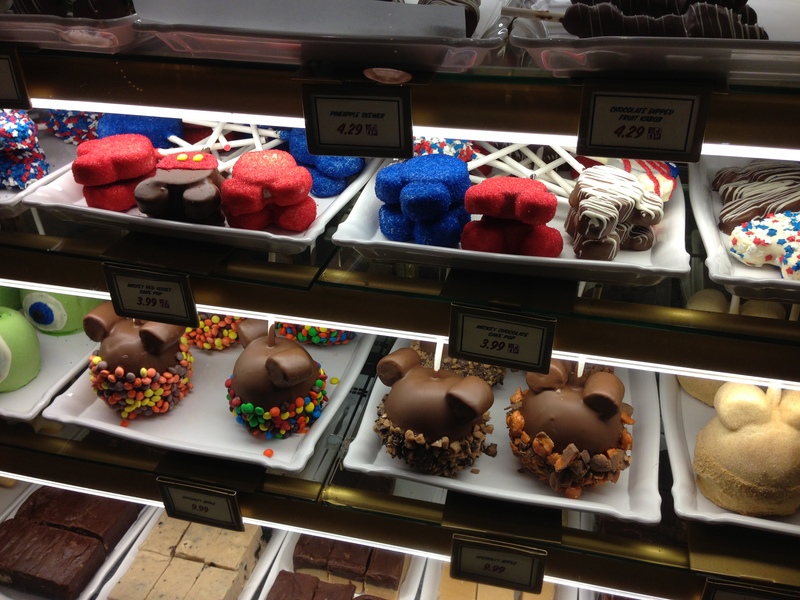 Next Next post: D23 Expo 2013: Best Things at the Expo!